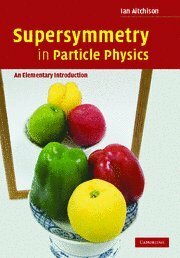 Intended for graduate students in particle physics, and researchers in experimental and phenomenological supersymmetry, this is the first textbook to provide a simple introduction to a previously formidably technical field. Its elementary, practical treatment brings readers to the frontier of contemporary research, in particular the experiments at the Large Hadron Collider. Supersymmetry has been a very fruitful subject of research and has taught us a great deal about mathematics and quantum field theory. Hopefully this course will convince the student that supersymmetry is a beautiful and interesting subject. We review the subject of spontaneous supersymmetry breaking. First we consider supersymmetry breaking in a semiclassical theory. We illustrate it with several examples, demonstrating different phenomena, including metastable supersymmetry breaking. The present book discusses, among other things, various quantization phenomena found in Astrophysics and some related issues including Brownian Motion. Most chapters in this book come from published papers in various peer-reviewed journals. These lectures are aimed at finishing undergraduate and beginning postgraduate students. The text gives an introduction to supersymmetry in four spacetime dimensions, and extra dimensions which are combined with the concept of supersymmetry.